Burnt huts at Bur village in the Shilluk kingdom. 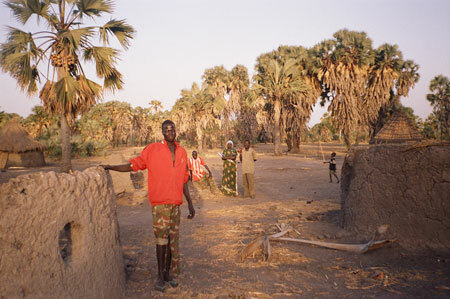 The destruction was carried out by pro-government Nuer militia under Gabriel Tany-Giny in 2005 after the local leader Cam Ocol transferred his allegiance from the Sudanese government to the SPLA under John Garang. This incident demonstrates the difficulty of representing the conflict in Sudan in simple north/south terms, since the reality on the ground has often been far more complex. Morton, Chris. "Burnt Shilluk houses" Southern Sudan Project (in development). 03 Jan. 2006. Pitt Rivers Museum. <http://southernsudan.prm.ox.ac.uk/details/2007.137.14/>.